I Want to Be Like J. K.
How does a billionaire author sell her digital and audio books? J. K. Rowling, a pretty smart creator of the legendary Harry Potter series, never sold her digital or audio rights to any mainstream publisher. That’s right, folks, she’s now doing it all on her own at pottermore.com! Now you can be one step ahead of J. K. Rowling. Why? Because even though she’s selling direct to the reader, and she owns 100% of the digital and audio rights to her property, she’s still allowing the buyers to download her eBooks in the extremely unsecure epub format. ePub is the major reason why the major book publishers won’t allow libraries to lend their copies to a library patron. Also, at the recent London Book Fair, a complete presentation on eBook Piracy was given to demonstrate the fact that over $350 million were lost to pirates in a single year. According to research by Dutch firm GfK, only 10% of all eBooks currently on e-readers, smartphones or tablets is actually paid for. Meanwhile a survey conducted by Book Industry Study Group found that during the Spring 2013 semester, 34% of college students in the United States illegally downloaded course materials from unauthorized websites. The fact is, the minute you, the publisher/author allows the reader/buyer access to the complete eBook, it can be pirated. The only way to keep one step ahead of the digital pirates is to make the DRM (Digital Rights Management) system the most secure it can be. Attend our free webinar on May 15, 2017 to learn how our Embellisher eBook Publishing and Sales Distribution Mobile platform can protect your intellectual property from being stolen. Keep 97% of the purchase price of your eBooks and never be ripped-off by the middlemen again. This is the future of eBooks sales, and you can be part of it. We’ll also be giving away a free installation of our complete platform to the attendee who scores highest on our live mobile Kahoot! quiz about eBook publishing. We have discovered an interesting phenomenon during our conversions of independent authors to mobile publishing. When they establish their Embellisher™ Mobile Publishing platform, the list of previous followers they had during their website presence quickly became more dedicated to the author and his/her work once they had an app to go to on their mobile devices. Readers enjoyed the convenience of having the author’s work directly accessed by mobile device. Readers could easily switch mobile devices while reading, keeping the place where they left off in the book they were reading. The author’s brand was clearly recognizable to the reader inside a mobile application. Authors enjoyed having more secure Digital Rights Management than on Amazon. Followers appreciated the fact that most of the money they paid to buy the authors’ books inside the app went to the authors and not to middlemen. Followers became much more active inside the Mobile Forum because it was dedicated exclusively to one author. Places like Facebook and Goodreads were too big and too distracting. Authors and their followers enjoyed having the instant editing that was available to their books and educational materials. Newsletters and other promotions were sent by PhpList and were more secure and entertaining as a result. Sales increased 30 to 100 percent after converting to mobile publishing because print, conventional eBooks, and enhanced (ePub3 multimedia) eBooks could all be created, marketed and sold inside the one mobile platform. The authors also appreciate the help they receive from the staff at EMRE Publishing. They are able to get their mobile platform up and running on their web servers in as little as 24 hours from the time they purchase it. Self-Published authors who have several books in a series benefit most from converting to mobile publishing and marketing. We hope you can experience the advantages of having all your publishing tasks in a single platform that you can take with you. The myths about mobile marketing are not true, so visit us today. Do you like short mysteries you can read in one sitting on your mobile device? Do you like the option of having multimedia inside your mobile eReader? Do you want to read the work of an award-winning author? Click here and register to access The Embellisher(TM) eReader. Return to this page and click here to access your free copy of Forevermore, the mystery that begins it all. Pat O’Malley, a decorated Civil War hero, is living inside Poe’s Cottage in the Bronx. 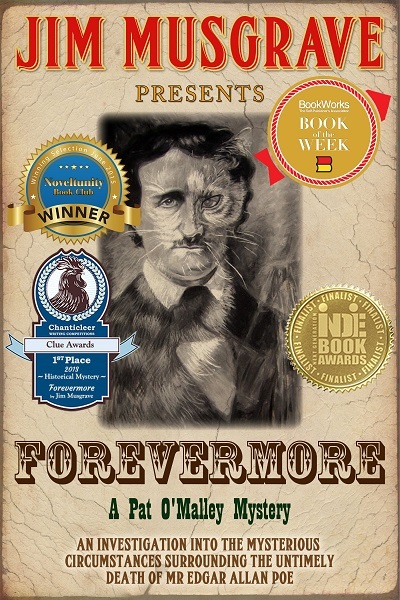 A vision of his former employer, Edgar Allan Poe, comes to him one stormy night. O’Malley finds a strange note from Poe’s wife, Elizabeth. The soldier-turned-detective decides to prove that Poe did not die in Baltimore as a drunk but may have been murdered. If you liked the novella mystery, Forevermore, then you’ll really enjoy the enhanced version. This ePub3 version includes insightful plot videos, Poe mystery games, and “choose your own plot” interactivity. You can access the sample of this multimedia version here. The second mystery in the series is Disappearance at Mount Sinai. The wealthiest man in America is kidnapped in New York, and Det. Pat O’Malley has to track him down. Access your eBook here. Jane the Grabber brings O’Malley’s girlfriend, Rebecca Charming, to the fore. Taken in their entirety, these three novels show the progression of Pat O’Malley from common citizen into a sleuth who must confront a time-traveling group that poses a world-wide threat. It is 1868, and one of the most devious and sinister madams in New York City is trying to take-over Rebecca Charming’s brothels. Access this third novel in your cell phone or other mobile device here. 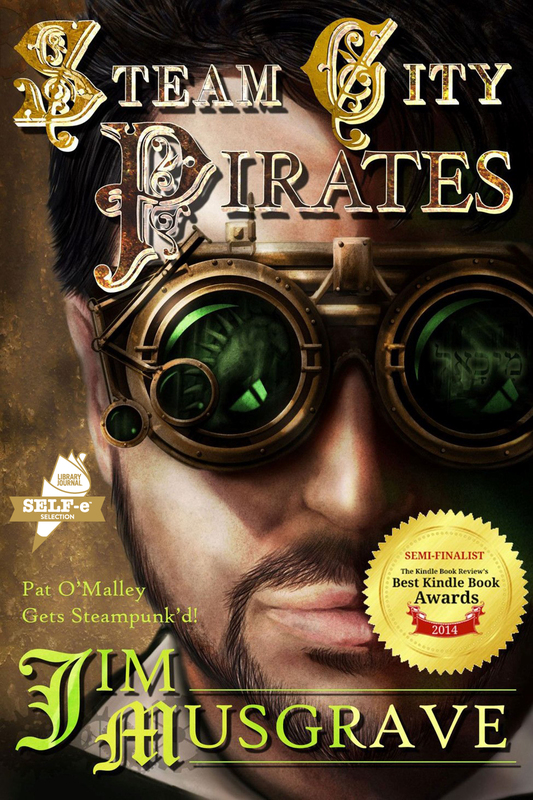 This fourth novel in the series thrusts O’Malley completely into the world of Steampunk. Steam City Pirates was a Finalist in several international book awards, and it is a completely enhanced eBook. It has originally created Steampunk music, an accompanying music playlist, and the superb artwork of Aryeh B. Bernabei. You can view a sample of this multimedia ePub3 book here. If you’ve enjoyed this new experience in portable reading pleasure, please join us to talk about what you liked. You can access our forum here. Finally, sign-up for future newsletters at the EMRE Publishing website. Book Expo America is the largest annual book trade fair in the United States. We have chosen that venue to roll-out our flagship application, and I would like to take some time to explain why it is the most innovative and cost-effective way to reach readers that has been devised. My experience at Caltech taught me that leveraging technology for specific tasks requires a lot of research and development in order to be successful. After my over 20 years experience as an online professor and instructor, Caltech Management Development Supervisor, and award-winning independent author and publisher, I decided I wanted to develop the best way for authors to get their books in front of their readership. The result of many years of development is the Embellisher™ “3-in-1” Mobile Creation, Publication and Communication App. I wanted to know why independent authors were making so much headway in sales. If I could create a way for new authors to reach their audience the way the successful authors did, then my product could be used by publishers to maximize their sales. Make no mistake. The key to getting readers has nothing to do with spending the most money on marketing gimmicks. In fact, the more distractions you place between your work and your reader, the more they tend to lose interest. Therefore, I wanted to create the easiest and most direct way for authors to reach their readers, yes, but I also knew from studying the successful authors that the key to continuing popularity (i.e., sales) is finding the best way to keep your readers interested in what you have to offer them. Please note that I am not talking about getting what my wife would call “schlock” in front of readers’ eyes. The successful indie author is also a publisher. This means that the product that was produced (the book) has already been professionally edited, prepared, and reviewed by competent parties to demonstrate that it’s a product worthy of marketing, sales and distribution. We want vetted books that are of superior quality to use our app. I know these quality books are out there waiting for a sure-fire method of getting in front of readers, and I now have this method. It is not a gimmick to appeal to an author’s ego. It is not tomfoolery to trick readers into purchasing something they don’t really want or need. The Embellisher™ was developed to do one thing: get an excellent book into the mobile device of the niche audience that wants to read that excellent book. The key to the Embellisher™ system is reaching the right audience for your book. This means we use a rifle approach to marketing versus the more expensive and haphazard shotgun approach. Why spend thousands of dollars on advertising and promotions outside your readers’ target area? The authors I spoke with knew that this was money going down a rat hole. What they did to become successful was to reach the readers who wanted to read their books. This sounds easy, but how was I going to provide the method to do this? First, the author/publisher must do his homework/footwork by consulting with a professional email list broker. By “professional” I mean a person who can help an author find the specific audience who reads and enjoys coming back to books that cover a specific field or genre of interest. The more specific the author/publisher can be with this broker about the topics covered, the better the list of prospective buyers the broker can provide. For example, one of my clients, a teacher and nurse who also has her Master’s Degree in Business Administration, wanted to sell her course on passing the Nurse Practicum. She knew her audience would be graduate nurses who were ready to begin their careers, but they had this one important hurdle to jump over before they could be hired. Therefore, I connected her with a medical professionals list broker who could provide her with the rifled list of graduate nurses who had yet to pass this final test: the perfect audience for her needs. We would much rather you spend thousands of dollars building up your mailing list than on any other method of marketing. In fact, we work carefully with each of our clients to make certain they are getting the most specifically targeted email list for their book’s subject matter or genre. Why? Because you can have the most creative book and marketing promotion ever devised, but if you can’t reach your specific audience you will never make that sale. Period. Before our method of mobile book marketing, authors and publishers relied upon positive book reviews posted on Amazon, relentless social marketing on Goodreads and other websites, as well as book tours (virtual and brick-and-mortar). Today, with the advent of direct mobile marketing, there is no need to spend the extra time and effort doing these time-intensive tasks. Besides, we authors always knew that time spent on creating great subject matter to read was our strongest skill set. For only $500, publishers can purchase an “all-in-one” tool that can provide the content they need to reach their chosen audience. We work with our publishers to make certain they have the marketing content ready before they send out their first “email blast” using the purchased rifle list mentioned above. In addition, our publishers can see how new formats, like ePub3 multimedia content, can draw in new readers. As a result of the success of our app, we are going to be selling a new version at the BEA in May. This version will allow our publishers to provide separate Admin access and private stores to client authors who want to use the app to sell their books. It will also include a built-in email distribution tool, the PhpList email campaign tool. Starting today, we’re giving potential clients a way to test our marketing app for free. The only investment you need to make is to provide us with a .csv formatted (comma separated) email address list of readers you have purchased from one of our “opt-in only” list brokers or through your own accumulated list of followers. If you don’t know how to “rifle-in” on your target audience, then contact me for a free consult. Direct sales links to where your book is for sale (this can include Amazon or other online distributors). Cool and appropriate music playlists that the reader can choose to play. Upload your own published eBook and sell it through our app store (keep 85% of the purchase price). Once you’ve tried our method for yourself, we’re certain you’ll want to have your own app designed to fit your brand and website. 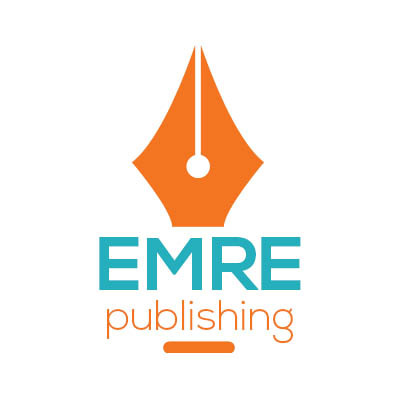 Join the EMRE Publishing team of satisfied publishers to deliver your content directly to your chosen readership. You not only reach those who are interested in what you have to say, but you’ll collect 100% of the profits from your work. If you’ll be attending the BEA in May, please stop by our booth 976A and say hello. Want to Be Your Own Mobile Oyster or Scribd? One of the newest additions to the Embellisher™ Mobile Publishing and Marketing System is a way to charge one price for unlimited reading of your titles. Yes, just the way Scribd and Amazon are doing it. As the owner of the self-install of our flagship product, you’ll be able to sell multimedia , conventional, newspapers, magazines or even audiobooks for a single price, with a click of a button. It’s built right inside the Administration back-end of your system, and you can designate which users you want to become part of this sales extravaganza. The reader simply needs to pay for this feature, and then you designate her as getting all eBooks for free. Imagine all the readers you’ll get inside the eReader once they know you charge a single price for all they can read! The advantage of your selling using the Embellisher™ Mobile Publishing and Marketing System is that you’ll be able to sell to niche audiences that want to read a lot of books in a certain genre. Just follow our Five Step Plan, and you’ll soon have readers signing up for your titles. We have also added two other versions of downloads for those Administrators who want to save their creations in .mobi or .pdf. digital formats. Of course, the only version that can be read completely (all videos and playlists) inside our Embellisher™ eReader is the .epub3 format. Therefore, one should not try to save an eBook that is created with video or with a music playlist in .pdf or .mobi, because it will not be readable (or sellable) inside any other eReader. Of course, if you create a conventional eBook (without multimedia), you’ll be able to download and sell it using the .mobi (Amazon Kindle) or .epub (Apple iBooks) formats. This is important to the author who wants to deliver in these formats to add to her profits. We know that readers are still buying more print copies of books, so we have made it easy to sell your books inside our system. For example, if you sell a print-on-demand copy of your title, you can create an interactive promotional eBook with a video book trailer, an interview with you, and a sampling of the book, right inside your creation. What makes this a great way to sell print titles is the fact that all the reader needs to do is open the app in his Smartphone or tablet, push a “buy button,” and she will automatically be given the interface at your print store at Createspace or wherever you have your print copies printed. Here’s the link to our CEO’s fourth mystery, Steam City Pirates. You would use that URL and simply insert it as a link whenever the user clicks on your “purchase button” inside the promotional eBook you’ve created inside the ePub3 Creator Studio. Authors and publishers are buying our sale-priced self-install of the system before it goes back up in price. You can download and install it for the price of $500, until May 31, 2015, which includes the complete eReader and ePub3 Creator Studio, as well as the full Administrative controls of the store and user interfaces.